Brand-spanking new fingerboard sign at the eastern terminus of C805 - the intersection of Main St (B85) & Franklin St (C805), Lady Barron. Source: Peter Renshaw, July 2007. 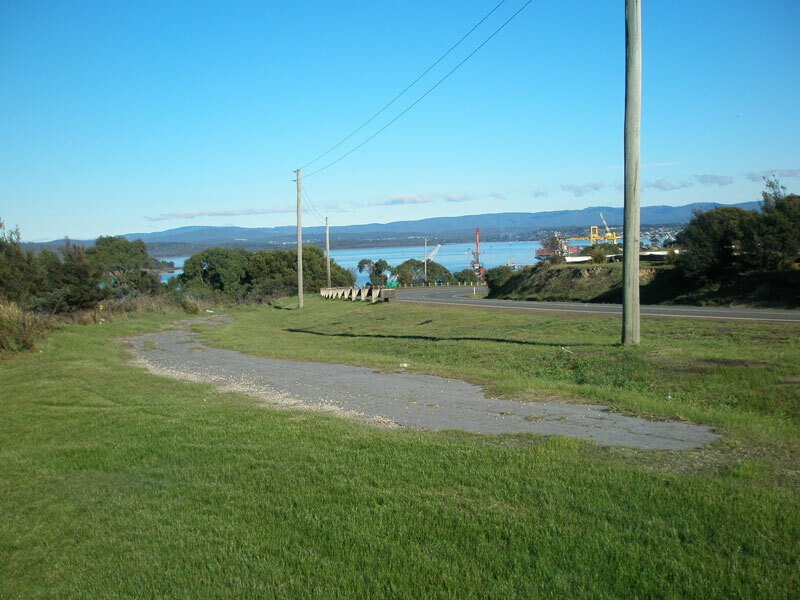 C853 is a route in Tasmania's far north, providing access from the East Tamar Highway (A8) to the maritime port of Bell Bay as well as serving the adjacent industrial area. 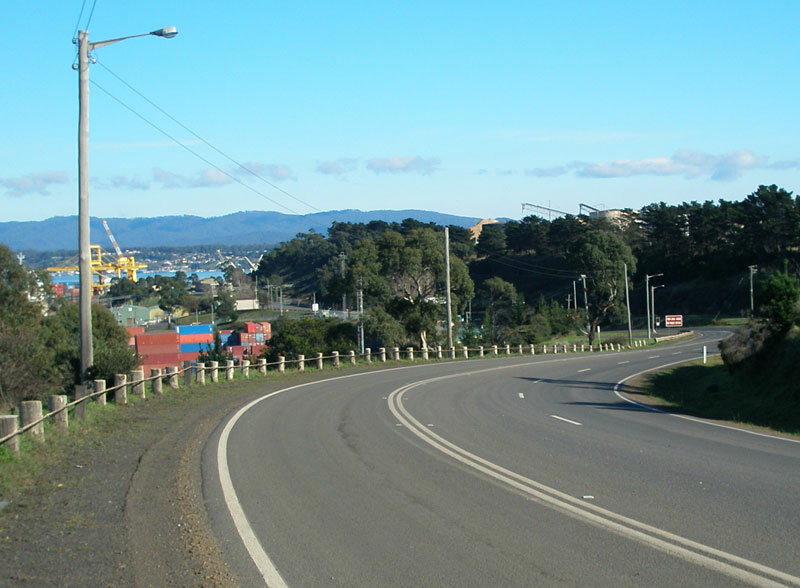 C853 is also part of the Auslink National Network between East Tamar Highway and Mobil Road due to its significance as a port access road. 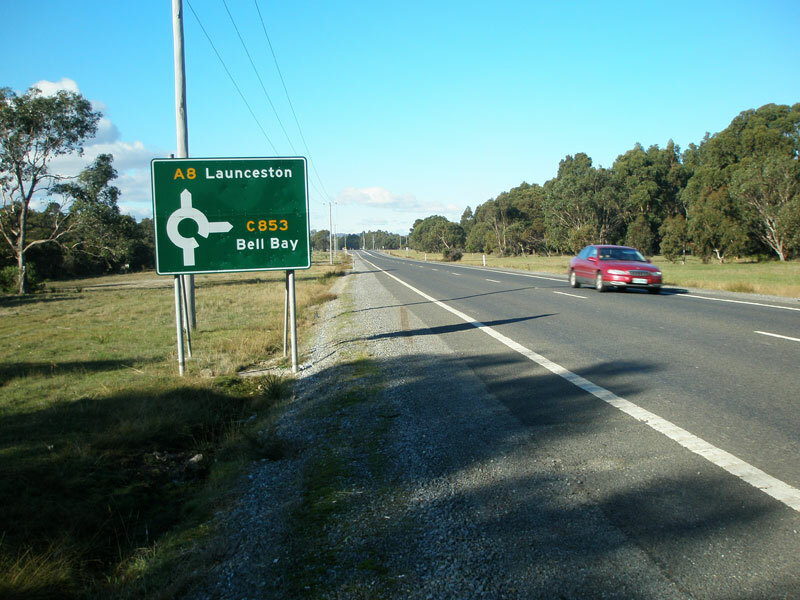 The route appears to have previously been of greater tourist significance, as reference to C853 appeared on signs as far south as Launceston. 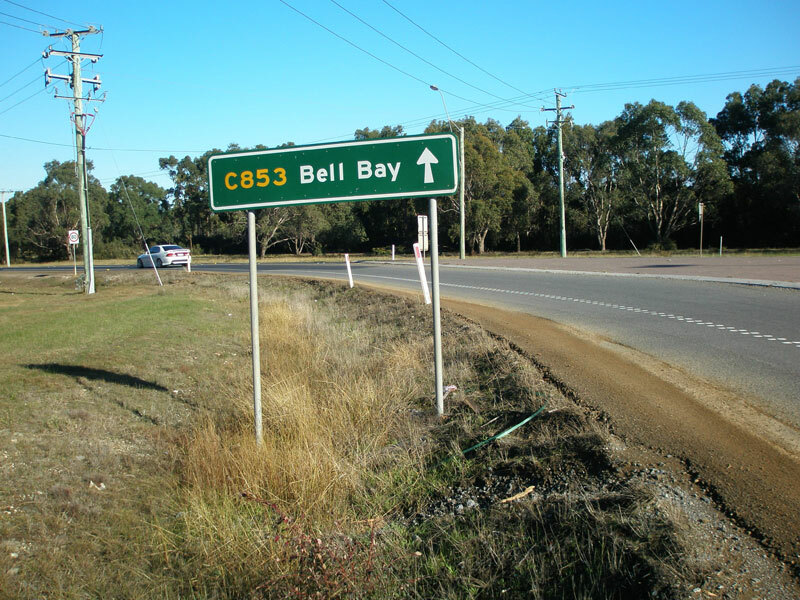 However, since then, references to Bell Bay and C853 have generally been replaced with reference to Low Head. 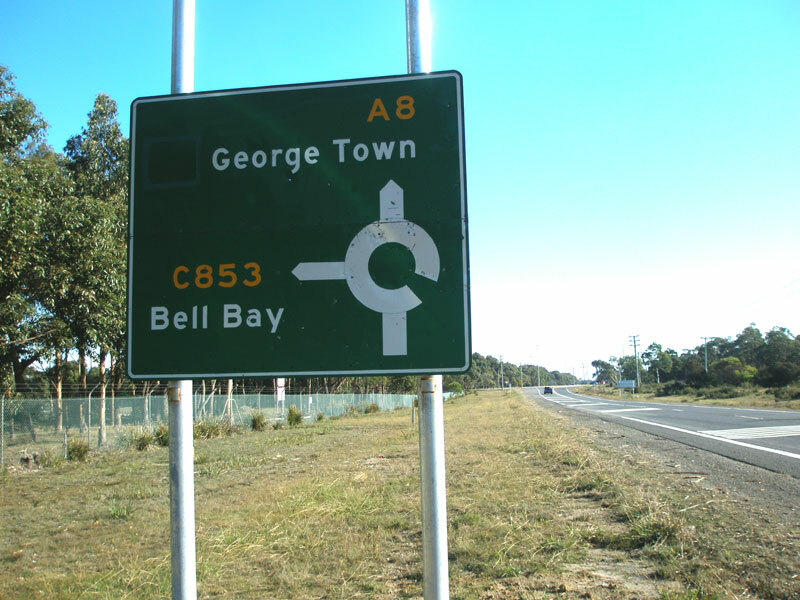 AD sign northbound on East Tamar Highway (A8) approaching the junction with Bell Bay Main Rd (C853), 3km south of George Town. 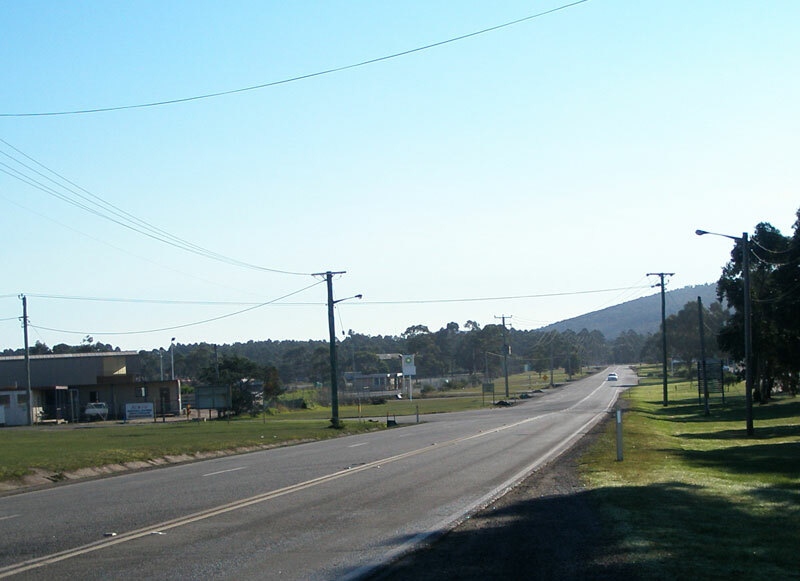 AD sign southbound on East Tamar Highway (A8) approaching the junction with Bell Bay Main Rd (C853), 3km south of George Town. 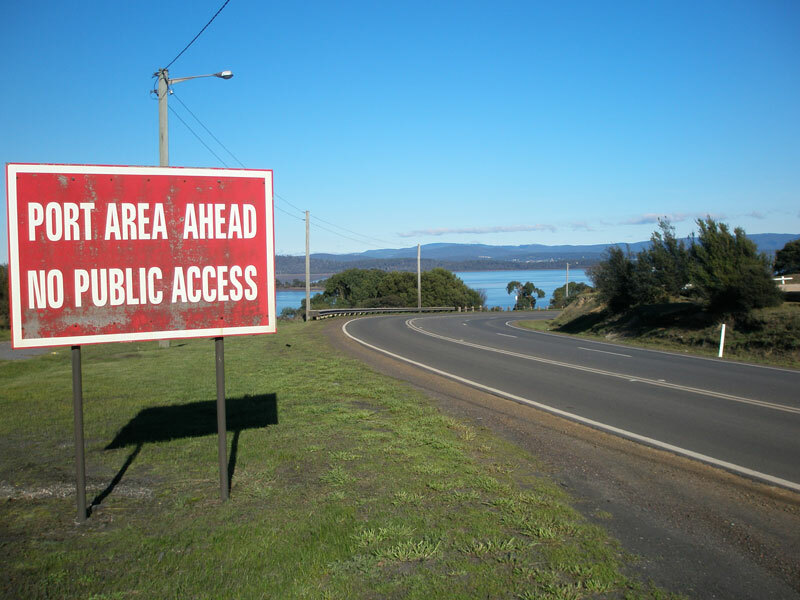 Roundabout ID sign at the intersection of East Tamar Highway (A8) & Bell Bay Main Rd (C853). 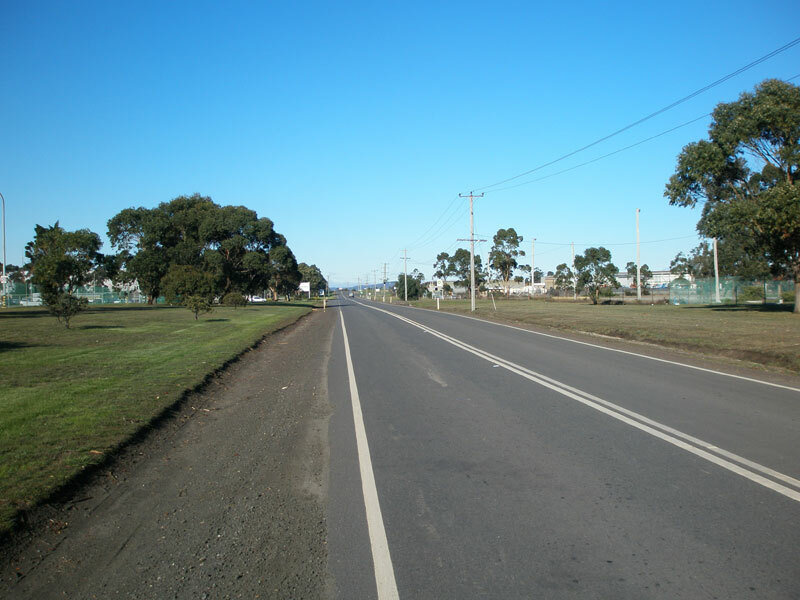 Bell Bay Main Rd (C853) looking west from the junction with East Tamar Highway (A8). Bell Bay Main Rd (C853) looking west through the industrial area located adjacent to the Port of Bell Bay. Bell Bay Main Rd (C83) looking east through Bell Bay industrial area. Bell Bay Main Rd (C853) looking west approaching the entrance to the Port of Bell Bay. A piece of remnant pavement adjacent to Bell Bay Main Rd (C853) where is has been realigned on approach to the Port of Bell Bay. Bell Bay Main Rd (C853) looking west to the entrance of the Port of Bell Bay. The gate at the bottom of the grade marks the end of C853. 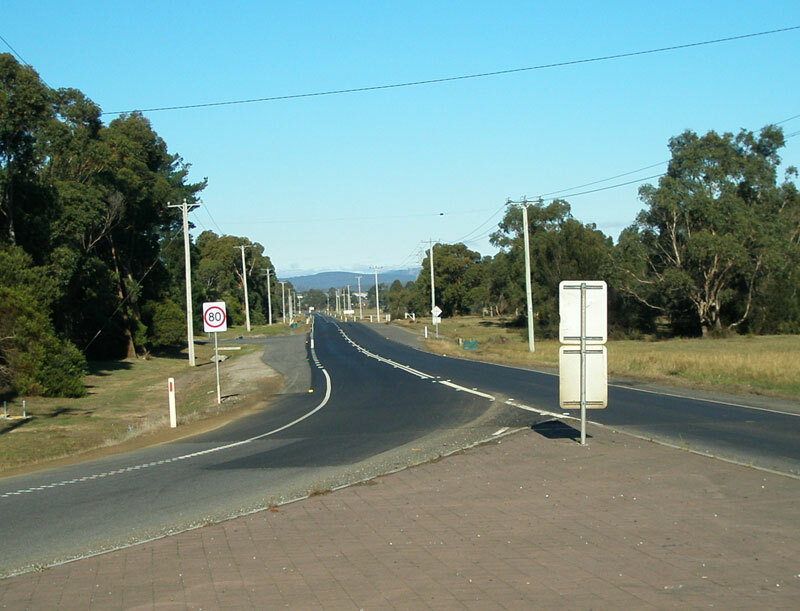 This section of road was probably realigned when the eastbound climbing lane was added.